A quick post this evening.. its Monday tomorrow :( I wish the weekend was a little longer. I am pretty excited though, I attended the Retreat earlier this year and on Saturday I went to my first crop. How does one be a cardmaker for an extended period of time and miss out on that... this silly person apparently. I am loving how productive I am while there. I am a pretty active person, I really did not think I would be able to sit still for that long but I have surprised myself. I am still working on posting the cards from the Retreat so bear with. I used simple layers for this card, of course, I had to pull out the stitched rectangles. 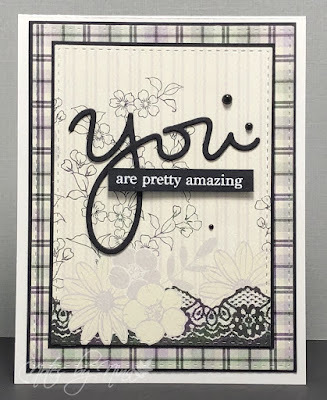 I die cut the YOU three times for dimension then heat embossed and popped up the sentiment. 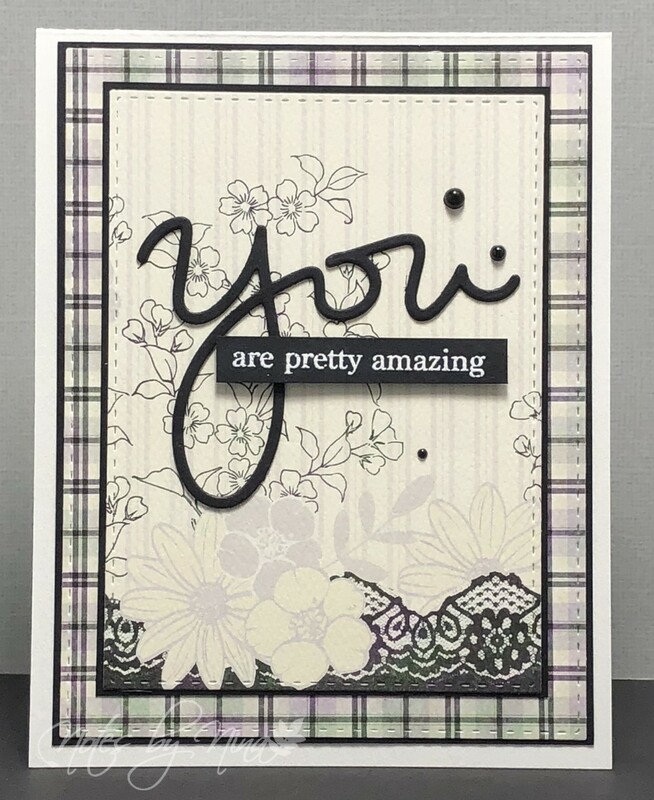 Supplies: White and black cardstock, Designer Paper -Authentique, SSS -You Matter and stitched rectangles.